Lookhart is accused of 10 felony offences reported KTUU, including claims he billed Medicaid for $1.8 million in IV sedation. The costly sedation is used in situations when extreme sedation is required, only in extreme dental procedures. The Anchorage dentist’s IV sedation bill alone accounted for nearly one third of the state’s combined bill from a total of 57 dentists, reported Alaska Dispatch News. The allegations came to light following an investigation by the state Medicaid Fraud Control Unit, the Office of Inspector General and agents from the FBI and DEA. 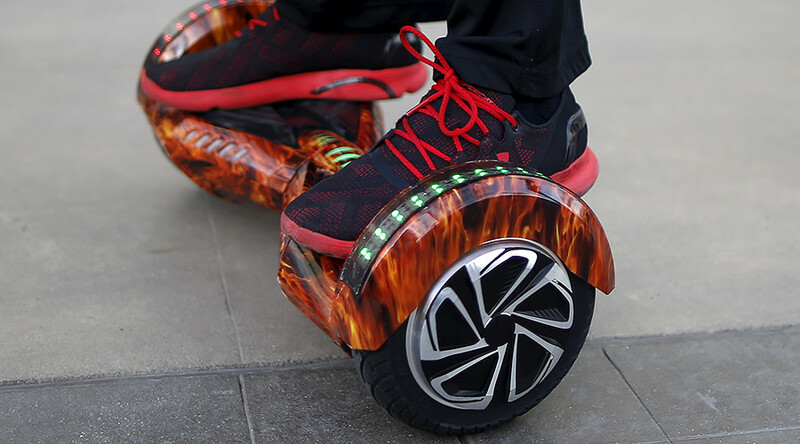 The patient, who was sedated at the time, told CBS that she was unaware he was on a hoverboard during the operation. A former employee of Lookhart alerted the state to his alleged fraud in August 2016 when they claimed that he was increasing profits by performing more IV sedation than necessary. The sedation, which costs Medicaid $170.76 for 15 minutes, isn’t covered by most private insurers, Assistant Attorney General Paul J. Miovas Jr. told reporters. Nitrous oxide gas, the alternative and more commonly used sedation method, costs a flat rate of $57. Lookhart was required to provide written justification for IV sedation, for which he wrote the words “anxiety” and “comfort.” Prosecutors claim this was insufficient explanation. His office manager, Shauna Cranford, is described in charging documents as playing a role in convincing Lockhart to introduce IV sedation. Lookhart, who has a clinic in Brazil, was deemed a flight risk at his bail hearing on Wednesday. He forfeited his passport and his bail was set at $250,000. If convicted, he will face up to 10 years in jail, up to $100,000 in fines and $2.5 million in fees to Medicaid and affected defendants.